Everyday – work well in all conditions, keeping your feet cool because of the breathable membrane, but also keeping your feet dry with the waterproof GORE-TEX lining. 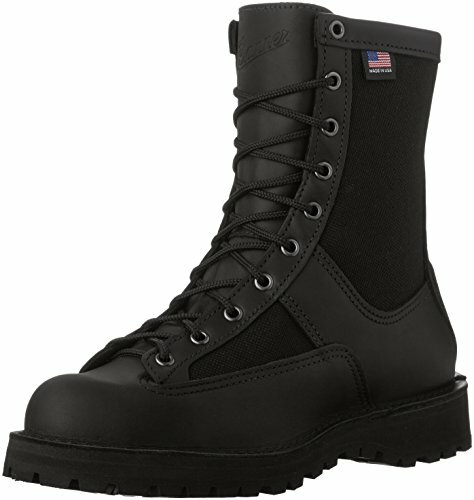 Coupled with the strong ankle support and the resistance of the lining, these boots keep your stable over harsh terrain and do not show many signs of wear. Heavy Loads – Certified with a Non-Metallic safety toe these boots do provide protection to your feet, enabling you to be around heavy loads. However, since they are not metallic, they are not advisable to be worn around heavy machinery or sharp objects. Cold – Because of the narrow nature of the boots, they trap heat and keep your feet warm. Wet conditions – They are classed as a 100% waterproof and breathable, due to the GORE-TEX lining, preventing any water entering but allowing sweat and moisture to get out. Furthermore, the rubber compound provides great traction and stability on both wet and dry surfaces. The Vibram Kletterlift outsole is specially designed for comfort and durability as the heel provides brilliant shock absorption and the rubber compound soles give excellent grip and traction on even the most slippy surfaces. The shank of the boot (part of the support structure between the insole and outsole) is made of fiberglass to provide support by diminishing the load incurred by the wearer’s feet and calves whilst walking on uneven terrain. The narrow build of these boots ensure a cozy fit and provide plenty of structure and support to all the crucial areas for your feet and ankles. The standard size (Size 8 D(M)) weighs approximately 9.8 pounds and the shaft measures around 8 inches from the arch. The heel measures about 1 ¼ inches and the platform are about ¾ inches. The boot opening is approximately 10 inches round and can be tightened with the laces to ensure the snuggest and most supporting fit. These boots are at the more expensive end of long lasting outdoor boots, priced at approximately $300. Many people find them very long lasting and the high-quality combination of leather and nylon gives them a polished and tough demeanor. The material makes them resistant to scratches and scrapes and they are very easy to clean, meaning that as well as providing excellent support for the feet, they look stylish and can be worn to almost any outdoor activity. The Danner company clearly cares about both their boots and customers as they offer a recrafting service in the Danner’s Portland factory to keep your boots fully functioning and looking polished. 5When buying these boots, you need to strongly consider buying replacement laces as they are potentially the worst part of the boot since the quality of the laces is nothing like the high quality of the remainder of the boot. In addition, the eyelet flaps are quite long, meaning they touch when the laces cinched down. Do these boots have a removable insert? How stretchy is the material? Yes, these boots will most definitely keep the rain out and still, at the same time, are breathable for your feet. Will they set a metal detector off? Yes, they will. Despite not having a metal toe, these boots have metal eyelets which means that they will trigger a metal detector easily. Yes, they can be resoled and furthermore, they can be sent for recrafting at the Danner Portland Factory to majorly extend their life. In conclusion, these boots are highly waterproof, long lasting and stylish. They are well designed to provide support and shock absorption to your feet and contain removable insoles which can be added for more support/comfort. The key areas of concern regarding these boots are the laces and the comfort. There is a mixed opinion on the boots comfort, but many find the insoles hard and unforgiving on your feet.